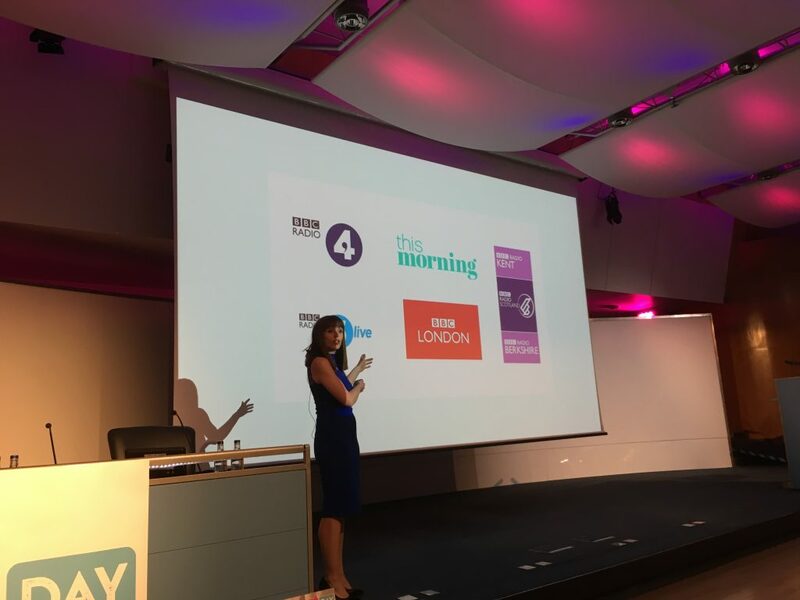 Social Day was a one day event in London bringing together a variety of experts who shared their knowledge and expertise. Here’s what we learnt. Janet Murray PR expert gave us tips on how to get use social media to obtain press coverage in the traditional print media. This in turn provides a business with credibility and so can make a dramatic difference in sales. Check out the hashtag #journorequest on Twitter to see if any journalists are looking to talk to someone like you. Her basic advice though? Share the story others want to hear, not the story YOU want to tell. If you want to really capture attention, stories are where it is at, explained Snapchat specialist Sumaiya Omar. She provided a very powerful (if hard to watch) demonstration of the impact of how video and stories can provide insight that doesn’t come from any other medium by showing us footage from Rania Ibrham’s harrowing video as she and her neighbours tried to flee the fire on the 23rd floor of Grenfell Tower. She also advised that video is super easy to repurpose if you shoot with Snapchat’s spectacles so watch this space on that. We all keep reading how important it is to go live and yet we’re all embarrassed to put ourselves out there. This week I felt the fear and did it anyway, thanks the charismatic Garry aka The Optician Social Media Guy. I learnt that actually I’m probably better off doing an interview based format. But the real top tip on going live came from SuperPeriscoper and serial live broadcaster MrASingh. Think about your content first. Don’t worry about how many followers or viewers you have when you’re live. If you’re going to feel dejected and depressed by seeing how few people are watching, put a post-it note or some blu-tac over the viewer numbers. This allows you to just focus on offering something interesting for people. (Often many people view later rather than live anyway, so this really is great advice to concentrate on adding value with what you’re actually saying. 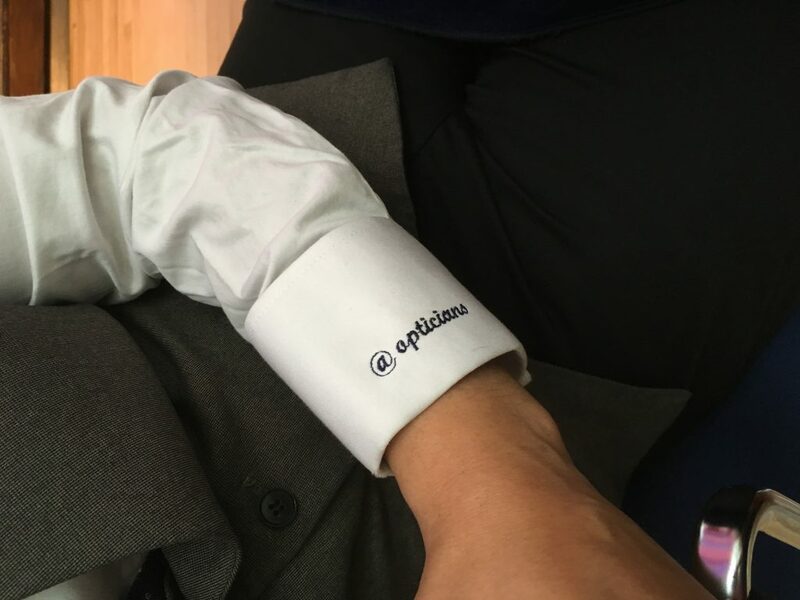 Twitter handle embroidered on shirt cuffs. Love this. It’s not enough to be liked. 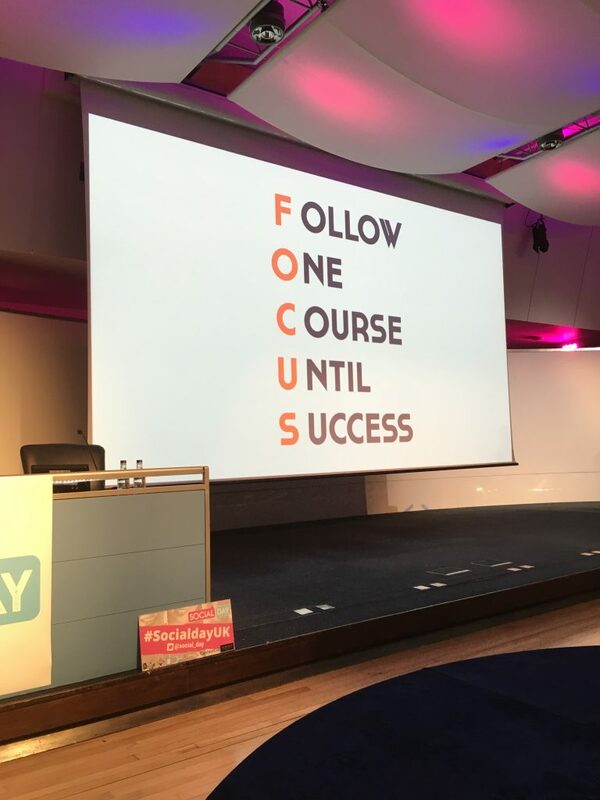 The keynote from the super energetic founder of Youpreneur Chris Ducker claimed that it’s not enough to be liked – you have to be people’s favourite. He also reminded us how important it is to avoid being distracted by shiny things. Twitter’s Bruce Daisley gave us a few key stats on the microblogging platform. Twitter now describes itself as a news app. Users go on to Twitter with a discovery mindset and this means that they are more attentive, responsive and more trusting than on other platforms. This can easily be summed up in this cartoon. Virtual Reality specialist Sarah Jones was saying that the beauty of a VR is that it’s an immersive experience and so its stories are much deeper. The fact that you’re in a headset means that you can’t be “second screening”. That’s the technical term for what we all do, with one eye on House of Cards, and the other on your weekend plans in your WhatsApp groups. It’s this focus that makes VR valuable and exciting. Victoria Taylor from UntwistedSocial Media is all about the bubbles. Not prosecco -though I think she likes that, too!. But using the DM facility on Instagram and FB messenger to get in touch with people. All part of the know/like/trust cycle which ultimately drives sales. Speaker of the day for me, by far, was the irrepressible Growth Hacker Vin Clancy who just shared so much value, it’s going to be a blog post all of its own. Watch this space for more.